How would one ship live ammo? 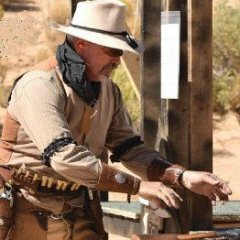 I know if your order ammo you have to pay fees from a vendor but can one ship live ammo to another person with no licensed vendor involved? Are the fees high? The reason I ask is I have about 1000 rounds of .223 / 5.56 I was thinking of shipping to my son-in-law in CA and was wondering if the cost would be too high. I know about the new ridiculous laws there so let's skip that issue, please. Yes you can. Follow the directions given by UPS for packaging and labeling and you can do it yourself. Look up ORMD on your search engine. The hassle factor will be high enough to discourage you even if the cost is not. Sending him money to buy his own is much easier. If they are in the original boxes and packed well, and you put an ORM-D sticker on it, UPS will ship it. The sticker can be downloaded from the internet. This keeps it shipped by ground as ammo can't go by air. Not that big a deal last time I did it. Shipping ammo from a UPS main hub is very easy. They will even provide the labels. Costs no more than any package of the same weight and size. Funny, in all my years of dealing with guns and ammo I never had to ship ammo so I was concerned it would be difficult or even not possible. This info helps a great deal...besides, I didn't want to lug all this to the USPS, UPS or FedEx and find out the on-line info was out of date or wrong. You do have to pay $5 for adult signature though. Has to go UPS or FedX ONLY. No loose ammo and tell the shipper what you have They will give you 'ORM-D' lables and there's no extra cost. Has to be shipped from a 'hub'. Not a 'store'. Only problem was my nearest UPS hub is 30 miles away; otherwise no problem. Church Key 30 miles aint far to Cal. When I flew to EoT I shipped my ammo ahead via UPS. Like has been posted here, Hub, ORM-D, Adult Signature. It was .45 Colt ammo and Shotshells. That much weight, the cost at the time was about $25.00 I don't know what the rates are now, I know from the stuff I've sold on the Classified Wire that shipping fees have gone up.